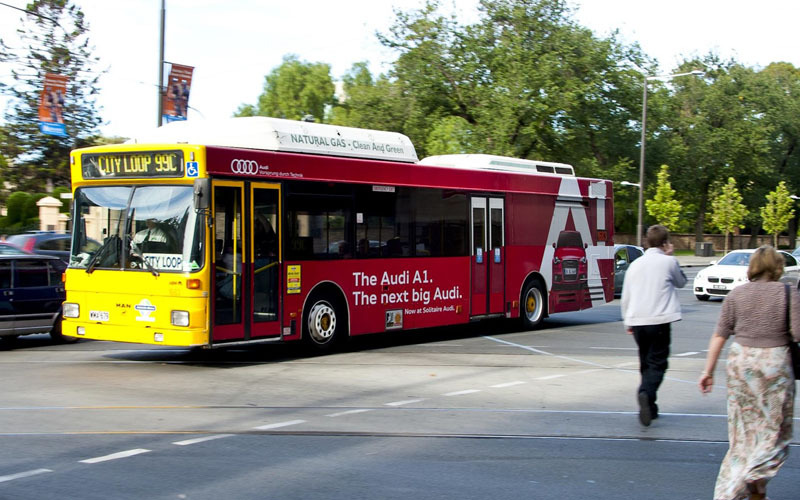 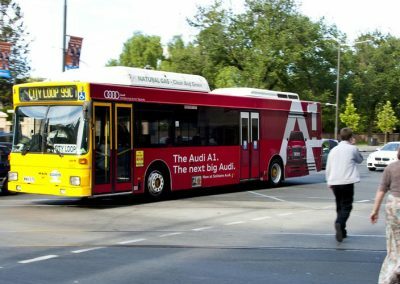 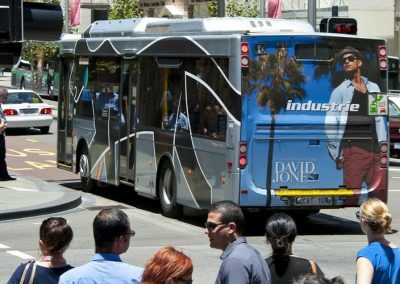 Transit advertising gives you flexibility you can run citywide coverage in every major capital city or pinpoint a campaign to a single retail outlet it’s entirely up to you. 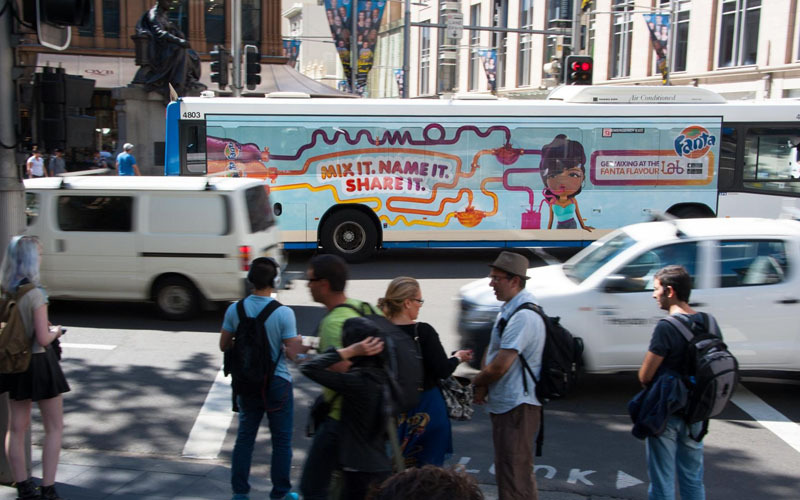 And because it’s the only major outdoor medium that moves your message gets attention. 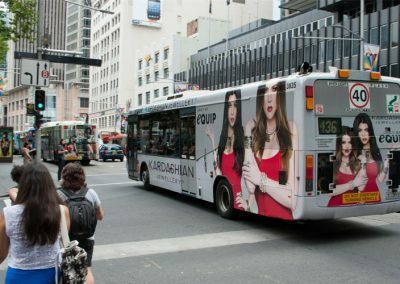 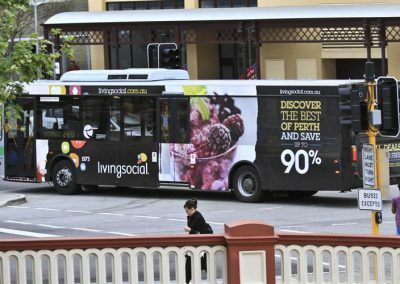 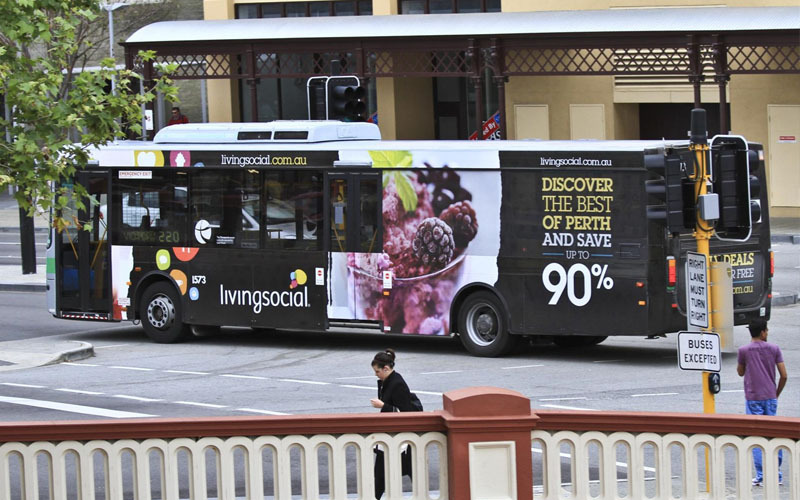 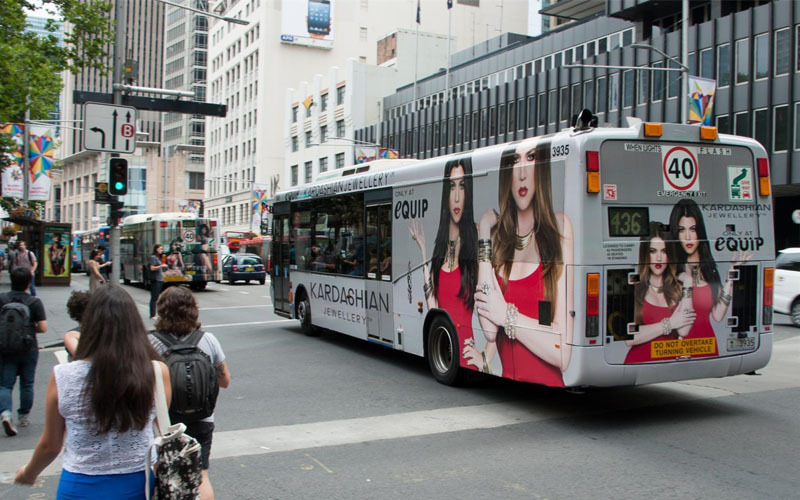 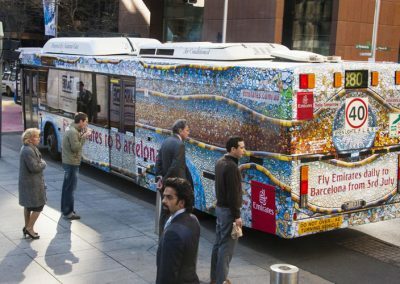 People like bus advertising, 71% of people prefer buses with advertising than those without which in our ad- avoiding world is quite significant. 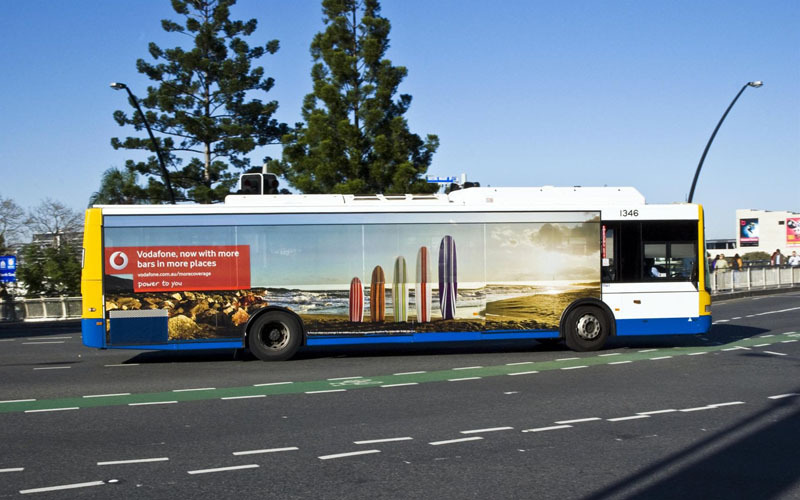 With transit media you can choose from a range of formats, portrait, landscape, square and wraps so you can run multi-dimensional campaigns that fit your purchase cycle. 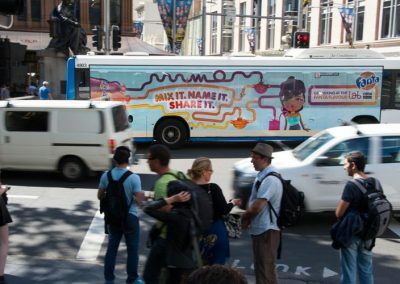 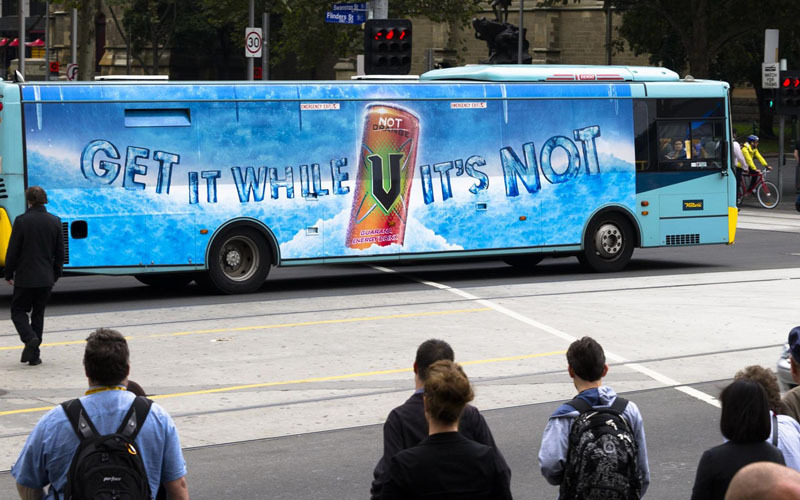 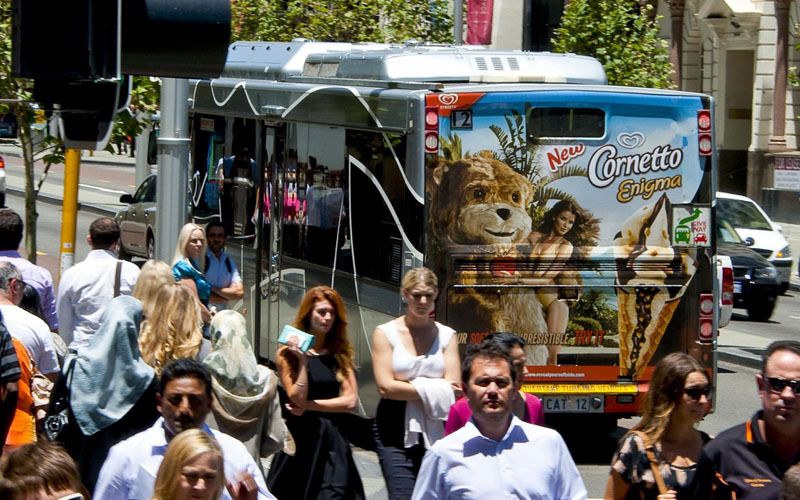 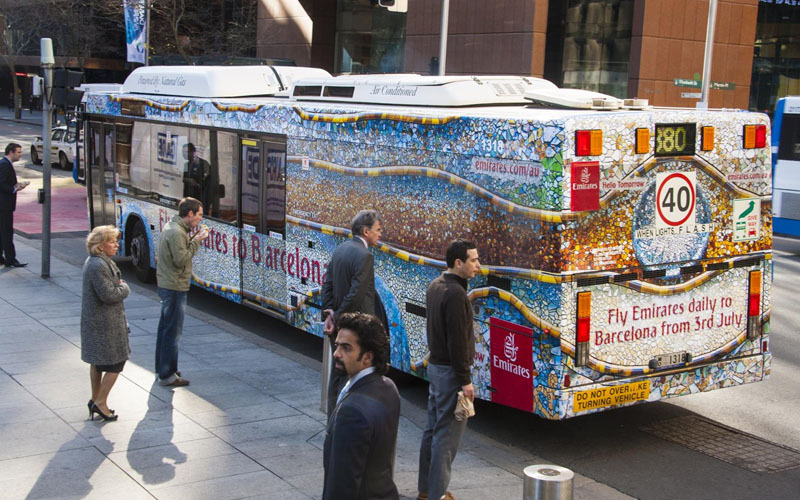 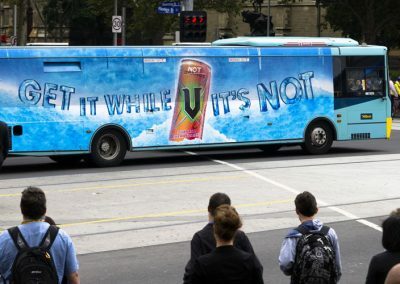 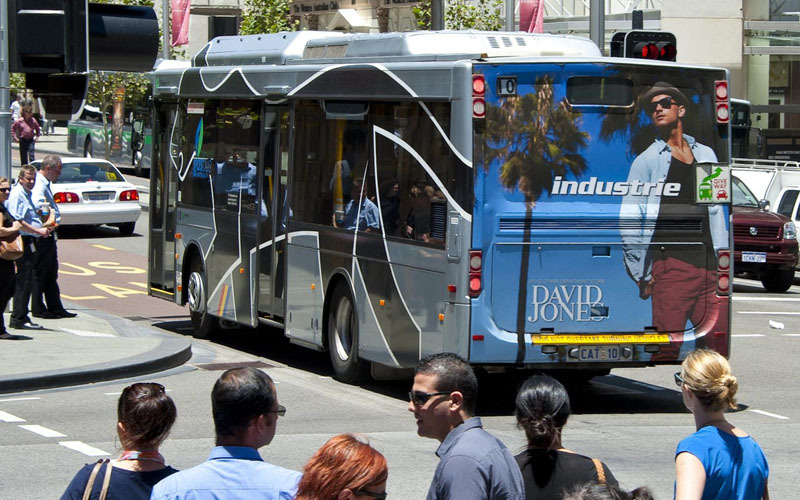 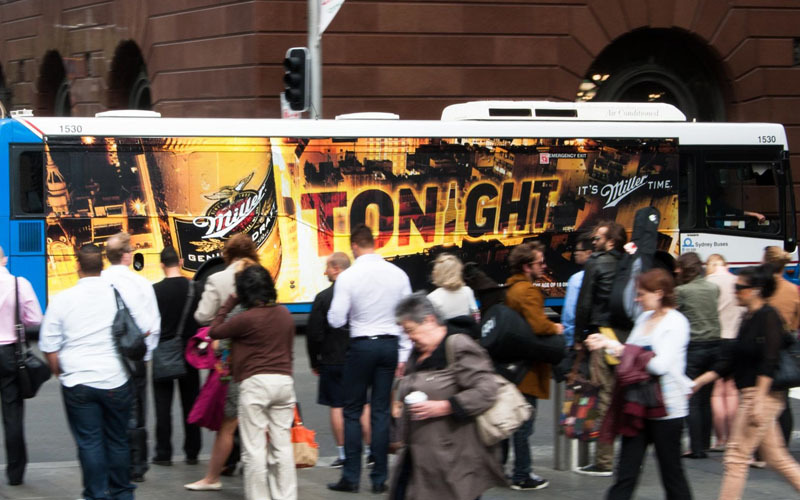 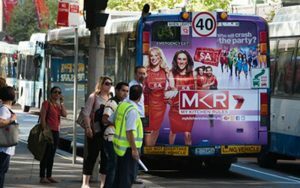 Bus advertising provides a high impact visual reminder of your company and what your company can offer customers. 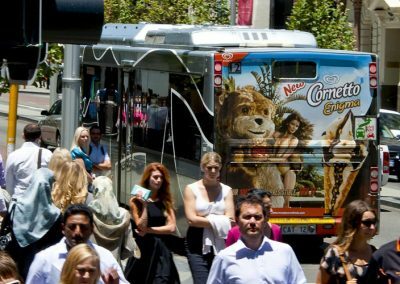 Short burst, big campaigns can launch new businesses, while long term campaigns can increase awareness of your company. 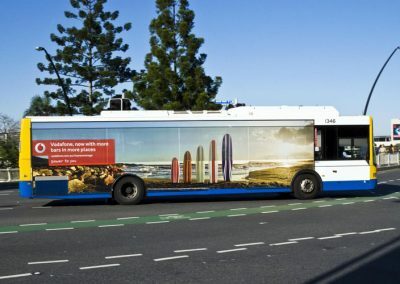 Buses are the most cost effective way to keep your advertising message in the market place day after day 365 days of the year. 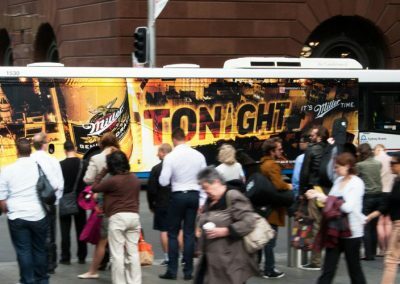 Your bus advertisement will be a relentless sales workhorse, constantly taking your message to the streets and to the people.